Join Technoheaven to become best Activities Booking Supplier. 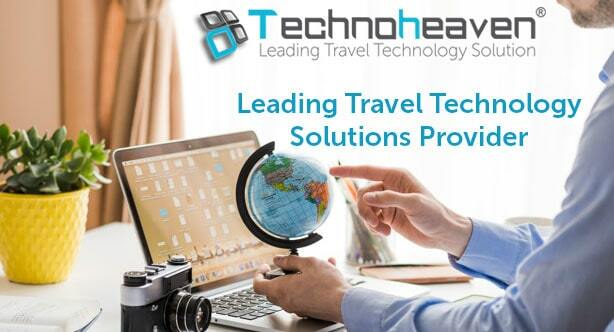 Technoheaven launches an intelligent Activity Booking Module for the activities booking suppliers to facilitate them with instant bookings of their activities. It also helps in easing the booking experience of the users by providing a one-stop solution to do hassle-free bookings of your activity tickets. Activities booking module gives the suppliers to gain more worldwide tourist to have rich experience to interact with suppliers and give the best assets. The activity booking module provides no delay to visitors for booking their tickets for activities. It also has the best activities management by selecting visiting date and time intervals and number of bookings for activities. This module is flexible, adaptable and easy to interact so the users can accordingly schedule the activities from one module. This can provides the suppliers for more bookings for activities and have effective interaction rather than uneasiness of activity booking planning. The activity booking module which provides suppliers the detailed schedule of tourist. So the supplier can easily co-ordinate with the guest and give the best quality experience of activities. And have the feedbacks from guest to enrich the quality of experience of activities provided by suppliers and enhances the activities booking. Our user-friendly Activity Booking Module helps you to distribute your activity tickets on various booking channels so that your activities can be discovered by the worldwide travelers. It also lets you display your real-time inventory to the users and drives a large number of activity bookings to your business. It allows your users to check the availability of tickets, book with ease and pay with our reliable payment gateway. This module has the best payment gateways so the suppliers gets faster payments and they can provide best pricing offers for tourist. B) Select Timing Option - wherein the users can choose time slots according to their convenience. C) Proceed to Checkout - After choosing your favorable ticket options and time slots you can instantly book your tickets with our secure payment gateway by clicking on the Book button. Using this module, the users can easily book tickets. Besides, it also offers booking flexibility, where the users can do multi-person bookings and change the ticket options as per their requirement. Our latest project includes the Museum of Illusions. So, what are you waiting for? Join Technoheaven and become the best activities booking supplier.